I would like to thank God for allowing me the opportunity to speak to all of you this evening. 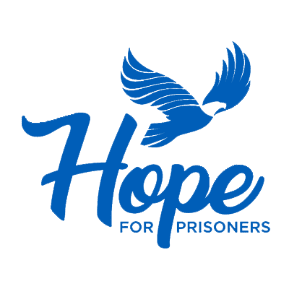 First of all I want to congratulate the graduates of Hope for prisoners for January 2019. This is truly a great accomplishment on your part. Nelson Mandela says that “ It is said that no one truly knows a nation until one has been inside its jails. A nation should not be judged by how it treats its highest citizens, but its lowest ones. My name is Cornell Wilkins. I am a graduate of hope for prisoners. That makes me a proud alumni of this awesome program. I only have a few minutes to speak to you so if I seem long winded please bare with me. I come from an abusive upbringing. I started my criminal career as a juvenile and continued until l retired on February 3 2013. I spent decades incarcerated for a multitude of crimes all related to my unwillingness to listen to and respect authority and abide by the laws of society. I remember making a promise to myself on my last bus ride to prison in the fall of 2003. I promised myself I would do everything in my power to try and never come back to prison. I spent the next decade nestled in the backdrop of the carson valley in carson city nevada inside acres of razor wire. I took every program the department of corrections offered and many of them two and three times. I educated myself and learned two more languages. None of this was going to prepare me for the world that awaited my return. I was released on February 3, 2013. I had resources thanks to my family but nobody wanted me to come live with them. They would help me but from a far. The bet was that I would do what I have always done and return to prison shortly. Man I gave it all I had. The culture shock was real. I saw people talking to their phones and everyone on the bus was on their phones. Nobody was talking to each other. I was trying to get me a conversation. It was crazy. So I just observed. I looked for work but was unsuccessful until I went to nevada job connect and met a guy named Eddie Loya. I would come to this guy’s office every morning. One day he said hold on and made a phone call. “ Hey Jon I have this guy here who just spent all this time in prison”. Do you have any classes coming up? He said yes and gave me a voucher to go through their program. He also got me a job. I was at the right place at the right time because he told me he was about to retire. I showed up for the orientation and did not think I would make it through the five days. But, I knew I was in the right place because from the first day I felt like I had a chance and before I felt like I was living on borrowed time. Hope for prisoners stuck by me. They wanted me to succeed and was willing to help me make it, rain or shine as long as I showed up and asked for help. They listened and showed up for me. Hold tight to the tools you were given here at hope for prisoners to help you succeed and get to that next stage of life. Fast forward 5 years. I am graduating in may with my bachelors degree in sociology at the University of Nevada Las Vegas. I have recently applied to UNLV graduate school to continue work on my masters degree in social work with my eye on completing my education with a Phd in sociology. Jon Ponder echoes a cry for us to dream big and to give all we have in following our dreams. He shared with us the value of building friendships, like those with our friends in the LVMPD and other meaningful relationships in which before were not acceptable. Today, by watching Jon’s leadership I have reached out to establish new relationships with our public officials, community leaders and my extended family and friends. Thanks Jon, Thank you Jackie and Eddie and all of the many volunteers and hope for prisoners staff that I don’t have time to give account for, I value all you have done for me, and all you do to help people who want to change their lives but don’t know how. I can promise you graduates this: The road ahead will be full of challenges and you will need friends and family to help guide you and support you and encourage you to not give up. Never give up. Life is worth living, freedom is worth keeping. Remember to reach back when you find a place in which you can breath and share your story with someone who may need to hear it.